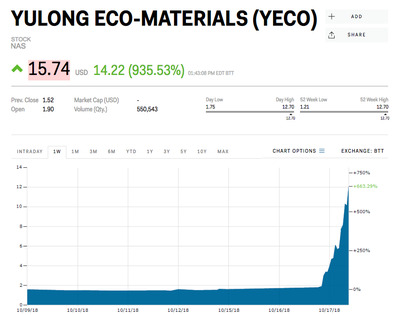 Yulong Eco-Materials, a tiny Chinese manufacturer of eco-friendly building products, announced Wednesday it had completed the acquisition of a gemstone for $US50 million. 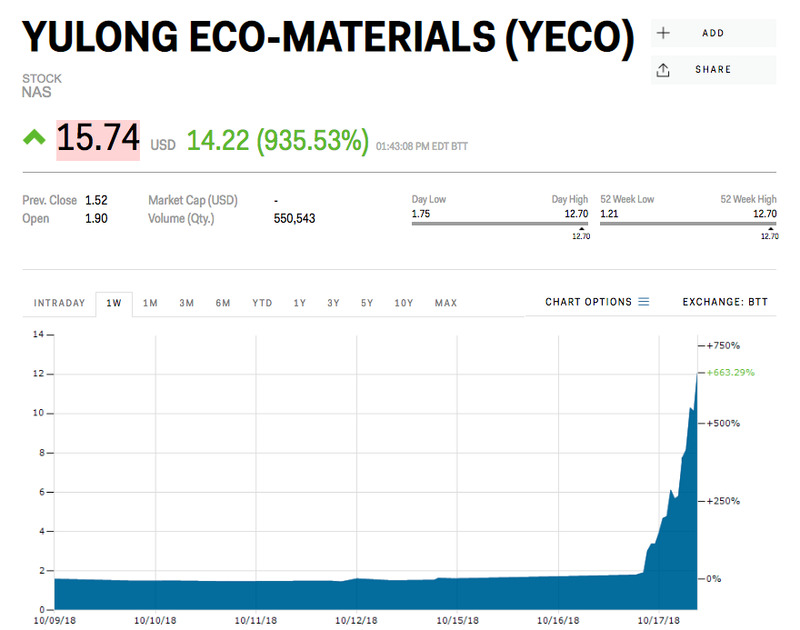 Yulong Eco-Materials, a tiny Chinese manufacturer of eco-friendly building products, rallied as much as 950% on Wednesday after the company acquired a gemstone for $US50 million. Yulong announced Wednesday that it had completed the acquisition of the Millennium Sapphire, a 17.9 kilogram blue gem that is widely considered an icon in world of art and gems. “We are extremely pleased to have completed the purchase of this undervalued world class asset for $US50 million,” CEO Hoi Ming Chan said in a statement. Yulong said in August that it signed a sale and purchase Agreement to acquire the Millennium Sapphire via the issuance of 25 million restricted shares valued at $US2.00 per share. Yulong’s shareholders voted on September 3 to approve the acquisition along with changing the name of the corporation to Millennium Enterprises Limited. The company said it’s in the process of selling and spinning off its China business, and plans to relocate its headquarters to New York this month, devoting all its resources to the Millennium Sapphire business.